The 2016 SheSays China Open Women's Doubles title has fallen to Chen Meng and Zhu Yuling after a strong four games victory saw off Liu Shiwen and Ding Ning. 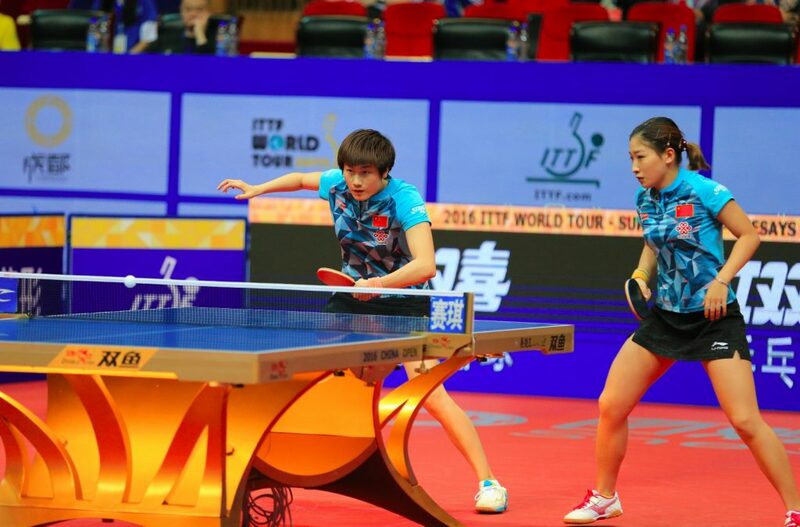 Chen Meng and Zhu Yuling have looked in good form ever since their opening match in Chengdu, but few would have anticipated that the Chinese duo would go on to beat Liu Shiwen and Ding Ning (both China) in the final after the latter pair registered 3-0 victories in their prior matches. The final was a strange affair with some confusion as to where it all went wrong for Liu and Ding; they took the opening end by a seven point margin and appeared to be the stronger of the two teams, but then out of nowhere Chen and Zhu completely changed the complexion of the tie. From the second game onward Chen and her partner Zhu were untroubled, producing fantastic chemistry together to stun Liu and Ding by taking three games in a row (4-11, 11-3, 11-9, 11-5). “Thanks to Chen Meng. I think I performed normally in the match. We have played against Liu Shiwen and Ding Ning several times before but have only won a few. I am very happy to win today” – Zhu Yuling (China). Liu Shiwen and Ding Ning will be left scratching their heads following the loss in Chengdu, especially considering that the duo only recently picked up the 2016 Korea Open Women’s Doubles gold in June. But for Chen Meng and Zhu Yuling, a bright partnership appears to have blossomed and could become a strong fixture at the top of the Doubles game.